Will Birmingham play in the American Football League? 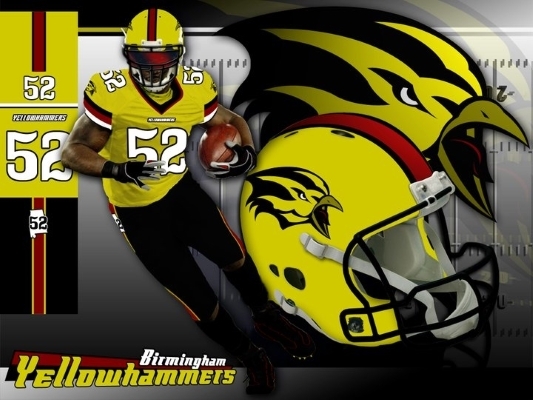 A proposed football league named the American Football League indicates it has intentions of placing a franchise in Birmingham. All teams will be league owned and operated. Apparently, the team was to be named "Blazers" but the league has announced they will be renaming the franchise after learning that University of Alabama at Birmingham teams are named Blazers. 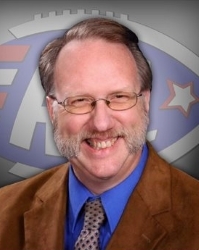 Joe Faber, the AFL's founder and commissioner, announces they are postponing the inaugural season to the fall of 2012. The primary reasons given were the lack of a television contract and a major sponsor. Faber says he has talked to Melvin Miller of the Birmingham Park and Recreation Board about using Legion Field. The league wants to play in venues of 35,000 or more, which would rule out Regions Park or Lawson Field. "This is a big-time professional league. Our league's break-even point is currently projected at 18,500 per game and we are setting a goal of 25,000 fans per game in the 2012 season." Plans are for the season to run from August through January. Four pre-season games are planned during August and post-season play is scheduled to begin in January. Games could be played on Friday, Saturday, and Monday nights while some might be played on Sunday afternoons. The teams would be owned by the league but each would have their own president and general manager. The league says this corporate design, utilizing stock shares in the league, allows it to avoid bad ownership problems and centralize operations. It will also allow the league to freely shift profits, losses, and other burdens in a more fluid manner. The league plans to have 16 teams divided into four divisions. The Eastern Division has teams planned in Miami, New York, Providence, and Washington DC. The Central Division has teams planned in Chicago, Columbus, Milwaukee, and St. Louis. The Southern Division has teams planned in Birmingham, Louisville, Memphis, and New Orleans. The Western Division has teams planned in Dallas, Los Angeles, Tulsa, and Salt Lake City. "We wish to announce that the American Football League has come to the conclusion that the launching of a new major professional league is not viable at this time. The ongoing economic situation precludes the necessary sponsorship money and television interest to make such a venture possible. It is with great sadness therefore that we must cease operations and begin dismantling the league. We would like to thank all of you who had followed this great adventure and wish you all God speed and blessings." The American Football League never played a single game.